Timuel Black is a busy man. Though he officially retired from teaching 15 years ago, Black, 85, continues to lead and mentor others. He serves as a board member for organizations such as the Grand Boulevard Federation, the Chicago Committee to Defend the Bill of Rights and the League of Women Voters. And, as one of the most respected authorities on black Chicago, he devotes much of his time to preserving and passing on the community’s history, particularly to young people. When Black talks, his love for the South Side is evident. He has a story for just about every street corner, church and building in Bronzeville, the neighborhood at the center of the city’s African American community for generations. And, when he tells a story, his passion is contagious. Some of these stories are now in print. His recently published “Bridges of Memory” is the first volume in a trilogy he’s written about African Americans in Chicago; the next two volumes will be published next year. Composed of 36 oral histories Black began collecting 30 years ago, “Bridges of Memory” describes the experiences of people who migrated to Chicago from the South– such as Jimmy Ellis, a teacher who reminisces about going to the Regal Theater and seeing Billie Holiday, and union leader and activist Dorsey Day, who recounts when she was asked to give up her seat on a bus for a white man. Black also shares his own memories in the book. His family moved to the South Side from Alabama when he was 8 months old. After graduating from Roosevelt University in 1952, he took a position as a social worker, but it led him to the classroom. “I decided that, though I enjoyed social work, it would be better for me and for the communities if I could begin to teach young men and women about the world they live in and how to be responsible citizens of that world,” he said. So Black began his teaching career, which lasted more than 40 years. He taught at DuSable, Dunbar and Hyde Park high schools before leaving the Chicago Public Schools in 1966, disappointed with the system’s management. 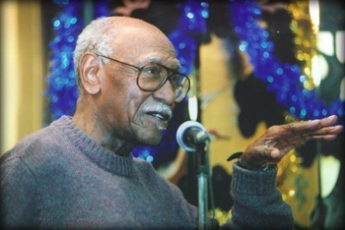 He then helped lead the local unit of Teacher Corps, a federal program that recruited young college graduates to teach in troubled schools, and then began teaching anthropology, sociology and black history at area colleges, including Roosevelt University, Columbia College Chicago and schools in the City Colleges of Chicago system. 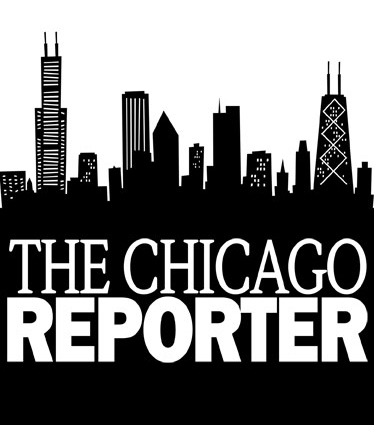 Black is still interested in getting young people to learn about the history of their community, and he recently shared his ideas with The Chicago Reporter. How does this generation of young adults compare with yours? My generation was much more fortunate. Maybe this generation is better off [materially], but if you are talking about spirituality and happiness in the feeling of the community and the future, it isn’t, and I can verify that by white and black people. We had more challenges and more dreams. Their world is bigger than mine; they have more tools to see the bigger world, the universe. Maybe because of that they feel less secure. When I was young, we would walk at night and day through other neighborhoods, and our fears of being abused were not as great as they are today. So there is alienation today in many young people that didn’t exist in my generation. One of the people you interviewed in –˜Bridges of Memory’ said that many people today have lost their pride and incentive. Do you agree? If children come from homes where failure is the norm and parents have little to offer, the despair begins almost right from birth, and certainly by third or fourth grade. They look toward a gloomy future. Most of the youth today don’t care. Most of them don’t think they will live past 20. They have close friends who have been killed. They psychologically get themselves ready. Since the jobs left, the old neighborhoods broke down and the schools began to disappoint them, we began seeing this change, this lack of respect. I would say this has happened within the last 20 years. You speak a lot about a –˜lack of education’ in the community. Teachers in general aren’t that good anymore. Now other markets take the people who used to have little choice but to teach. Today we have teachers whose motivations aren’t very high. But I don’t think the educational system can do much better. The greatest education for any young person, from my view of being a teacher and parent as well as a former student, is going to come from the place where they spend the most time, which is either at home or on the streets. Many of your interviews discuss music, mainly jazz. Now hip hop seems to have replaced that. How does it connect with youth? Hip hop has been commercialized. There are young rap artists who are good in a positive way, but they never get to the public, because those who control the commercial end don’t see them as bringing in much money. They like to see the images and the sounds of the ugliest stereotypical artist who will then be marketed to the middle-class white community, because that is who buys most of the hip hop music. What this music represents is ugly and disgraceful, and it is not accurate. This music industry does not allow you to see the young men who are going to Harvard and Yale and Princeton. You are very involved in the history of Bronzeville. Why is it so important for youth to know the history of their environment? Why wouldn’t it help you to know your environment? Youth today aren’t even taught about the history of their neighborhoods. When I went to grammar school at Edmund Burke School [at 54th Street and King Drive], one of the first things the teachers talked about was who Edmund Burke was. Now, about two years ago, I was asked to talk about Bronzeville to the youngsters at Walter H. Dyett Academic Center [555 E. 51st St.] As a teacher, Capt. Walter Henry Dyett was one of the best known persons in Chicago, and, after he died, this school was named for him. He encouraged hundreds of black musicians during the jazz period, such as Nat Cole, Johnny Hartman and many others who became famous worldwide. I asked these kids who Capt. Walter Henry Dyett was, and not a hand went up. Not one. So I turned to the teacher and asked her if she had told them about Dyett, and she said, –˜No, I didn’t know anything about Capt. Dyett, either.’ How could you, as a teacher in a school with that name, not find out who that name belonged to? How do you think it would help young people to learn about this? If they had either a parent or teacher who would say, –˜I want you to read this,’ they would begin to look at themselves in this environment they live in, and some of them would become inspired. Some of the youth will go somewhere because they will see models. Another option for youth is to go to one of the churches in their area. You get some feeling about what used to be in the neighborhood. Pilgrim Baptist Church [at 3301 S. Indiana Ave.] was where the origin of gospel music came from. Sinai Temple, which was a fabulous Jewish temple when I was growing up, is now a Baptist church. It was [one of] the first of the Reformed Jewish concept. How do you stay motivated to help youth? Well, I never lose hope myself. I believe that I have responsibilities to help younger people to obtain hopes and dreams. Their present condition may be very discouraging; my aim is to help them regain a sense of hope for the future. My main interest is in building a better America, building a better world.